Two and a half weeks is a long time. I apologize, as I wanted to publish this article over a week ago. Two and a half weeks also appears to be enough time for the drama surrounding Jordan’s Spieth’s recent gaffe at the 2016 Masters to fade. 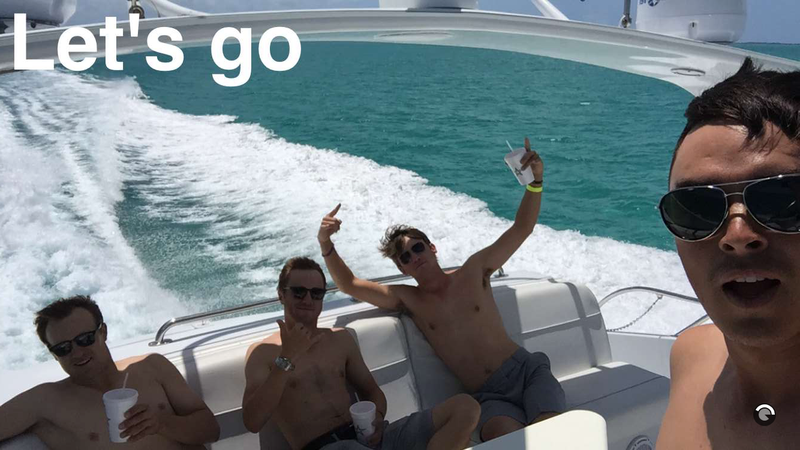 Spieth has moved on as well based on his “bro vacation” following the event. However, I still wanted to write about “why it happened?” I learned that the previous winner has to put the Green Jacket on the newly crowned champion. In rowing, when you lose a dual or championship race you have to literally give the winning boat the shirt off your back. There is always honor in acknowledging a worthy opponent. 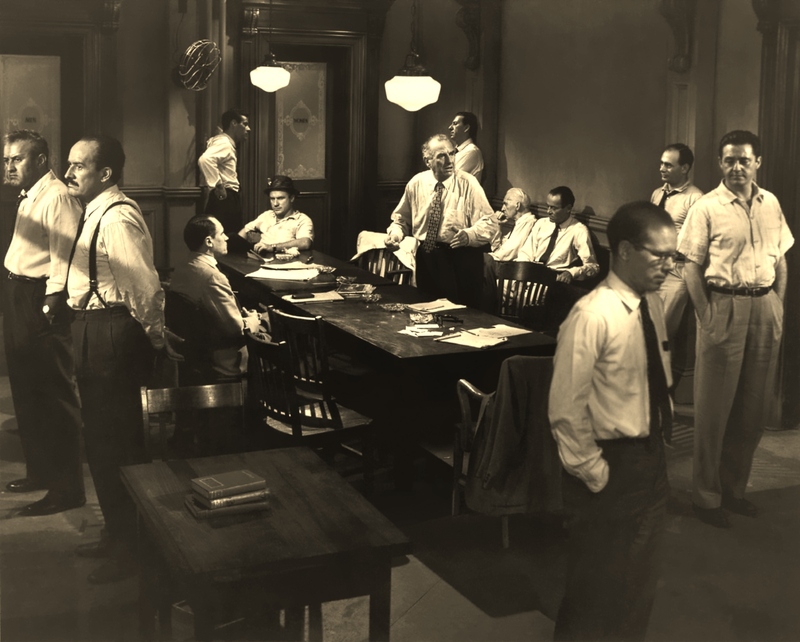 In the film, 12 Angry Men with Henry Fonda, both the jury and audience began convinced that the defendant (a boy) was guilty of the crime. However, as the film continued, Fonda’s character was able to put reasonable doubt in the minds of the rest of the jurors. The national media rode a roller coaster of highs and lows of sport for television ratings. 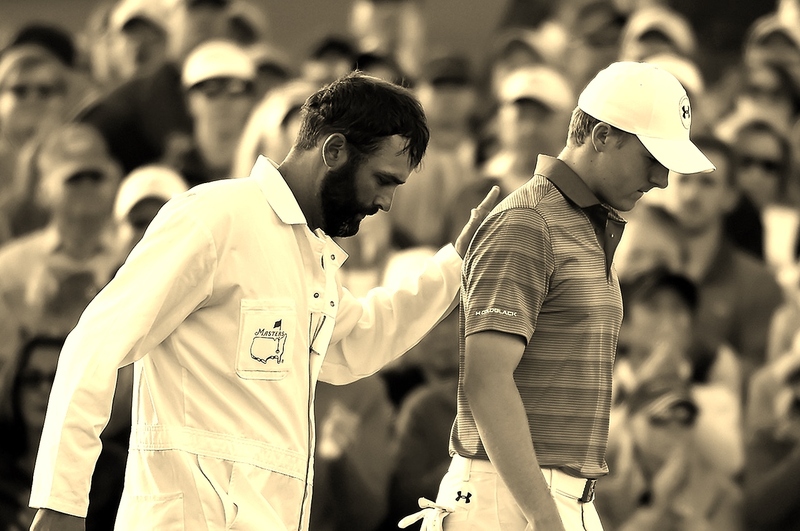 First they built excitement and drama towards Jordan Spieth’s potential win at the Masters. Now they write articles about his “collapse” on the infamous 12th hole. Something must have happened before the 12th hole that lead to this collapse. I recorded the final round to watch Jordan Spieth play every hole to discover where it all came unglued. Depending on the situation, their behaviors in those moments determine their results. If an athlete is unable to maintain control, they may be unable to turn things around. Sometimes, it isn’t even their fault. I have used the AthleteDISC Behavioral Profile previously in the context of rowing. I don’t know Jordan Spieth personally, but I believe that he is a strong “S” (steadiness) and “C” (conscientious) because of the way he approaches his interviews and press conferences. He appears confident in himself, but he is also humble. He explains what and how he is going to do things with clarity. He pays homage to the great players of the past, and is grateful that he is even playing at this level. He is passionate and systematic in the way he plays golf. Fans may root for a more “D” (dominant) and “I” (influential) player; one that is more outspoken and forthwith with the media. Was this “collapse” that simple? It is not what people have been writing about, therefore, I’ll do it myself. 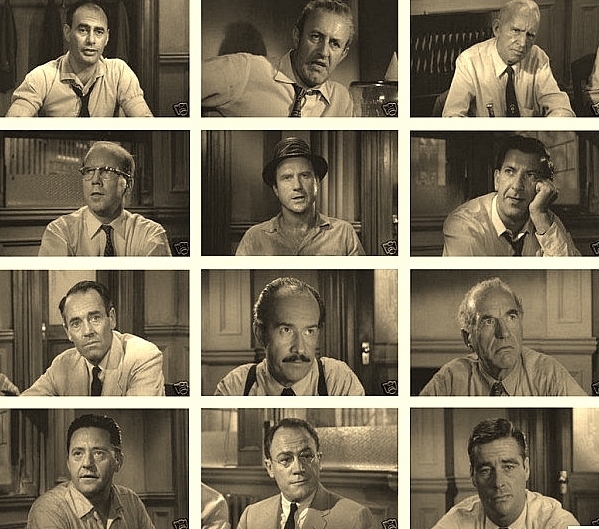 In the 1957 film 12 Angry Men, the jurors meet to decide whether the defendant, a boy, has committed a murder. Each juror believes the boy is guilty. 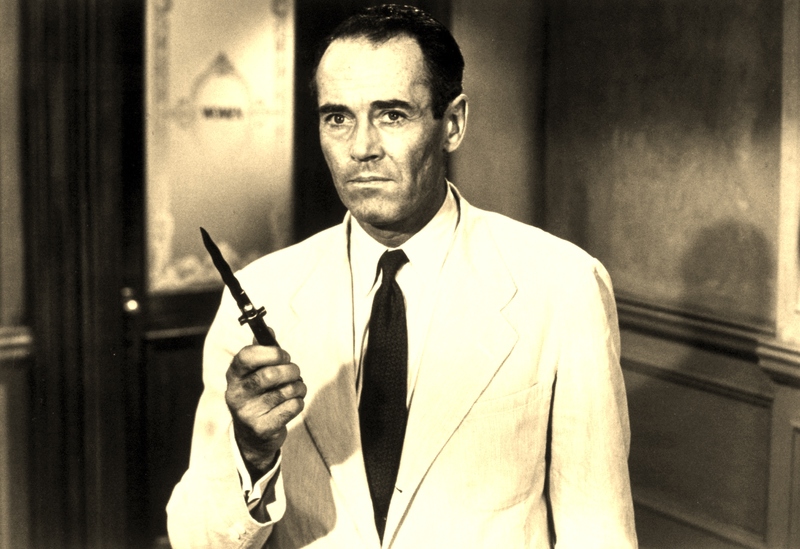 Henry Fonda plays Juror #8, and prevents a unanimous verdict because he wants to consider the possibility of innocence. Fonda’s hesitation makes the other jurors visibly and verbally angry; it is unwarranted and a waste of their time. Everyone had all but crowned Jordan Spieth as the first back-to-back champion since 1954 before Sunday’s final round. Spieth’s tee time began at 2:45 pm, and it allowed plenty of time for the media to do what they do: over analyze the potential outcome, and sell a lot of advertising. At 2:45 pm, Spieth seems very relaxed and confident on camera. He lines up for his first shot, shoulders slightly rounded, in front of the huge crowd. The first hole is a par 4 and he seems to want to get this first hole right. He takes his time between shots, and hesitates before each shot. High “S” athletes need to execute their plan over time. In order to calm his nerves, Spieth is running through his internal checklist before completing the next step. The commentators confirm that it is important to get the first hole right. Spieth taps it in for par to lead the field at (-3). Fonda tells the jurors he is looking for reasonable doubt, because believes the testimony of the two key witnesses is not strong. The jurors vote again via secret ballot. Fonda will concede if everyone votes guilty. Juror #9 votes not guilty based on Fonda’s willingness to stand alone against the majority. Standing alone at the 2nd tee, Spieth appears more relaxed, because his stance is more square and hits the ball well. The 2nd shot is also very good. Enter Michael Greller, Spieth’s caddie, The two discuss the 3rd shot and Spieth hits a great curving shot, which allows him to birdie the 2nd hole. Great assist Mr. Greller! High “S” athletes need both time and reaffirmation that they are going through the proper steps. A coach or caddie can be a great source of support, especially if they know the temperament of their golfer. They can reaffirm that the path the athlete is taking is correct. Result: Spieth birdies the Par 5 hole. Spieth at (-4). Fonda pokes holes in the testimonies of the two key witnesses of the trial. It is doubtful that the first witness is able to hear the voices of the boy and his father (who was murdered) because of a loud passing train. The evidence is significant enough for Juror #5 to change his vote. Other details regarding the murder weapon come out, and Juror #11 changes his mind. At the 3rd tee, the crowd goes crazy for something else on the golf course. The noise very distracting, and it appears Spieth’s concentration is faltering. He takes the opportunity to discuss the 2nd shot with Greller, who passes him a towel to wipe off his club. The crowd is cheering because Davis Love III has hit a hole-in-one on the 16th Hole. This was the second hole-in-one of the day on 16. 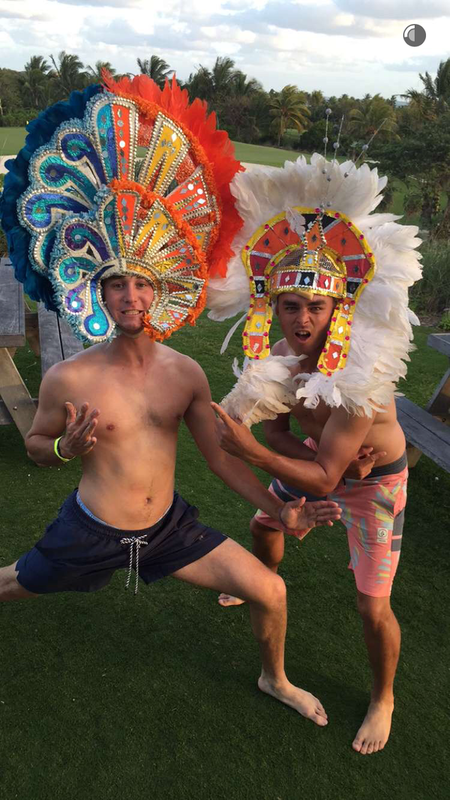 Spieth’s playing partner, Smylie Kaufman, is also having an interesting day. His shots are missing the mark, and it slows play down. Spieth manages par on the 3rd Hole which he is very happy about. Consistent “pace” of play is important for High “S” athletes. Jordan Spieth must focus on playing his own game, but the person he is plays with may influence the pace of his play. Spieth must stay consistent, hence his happiness for getting out the 3rd hole hole at (-4). The crowd noise has subsided, and Spieth takes his time on the next drive. It ends up off the course. He immediately gets his towel, and focuses on the 2nd shot which ends up really close. He taps in the 3rd shot for par. High “S” athletes will “follow script” in certain situations. Grabbing the towel allows Spieth to get back in the zone, and he plays the 4th hole systematically with no distractions. Spieth at (-4). Juror #4 questions consistency of the boy’s story in regards to his whereabouts. Fonda indicates that under emotional stress it would be difficult for anyone to remember what exactly they did two or three days ago. On the 5th Hole, Spieth loses his composure again, and drives the ball into the bunker. Smylie Kaufman continues to overshoot his shots, and Spieth rushes his 2nd shot. Visibly frustrated, he hits the back wall behind the green. He takes his time with the 3rd shot, but misses the 4th for par. Though smiling, he putts it in for a bogey at (-3). Composure and routine are important for the High “S” athlete. Spieth is struggling to find this on the 5th Hole. Spieth at (-3). The jury discussion shifts to the use of the knife, and Juror #5 shares that a switchblade knife isn’t typically used by stabbing downward. Rather it is used to thrust upward. If the boy killed his father then he would have used the knife differently than how it was found on the body. Some jurors begin wavering on their “guilty” verdict. Spieth attacks the 6th Hole. Kaufman continues to take his time, and the crowd erupts about something exciting, but Spieth finishes the hole with a birdie, and the commentators calls him “clutch”. This is the golf that fans came to see. There is no doubt that Spieth is adapting to the playing conditions. Being a little more “aggressive” is something he has probably done in the past. The questions is, “Will he maintain it?” If things are going well, High “S” athletes can tap into their “D” (dominance) when they need it. However, it requires energy. He leads at (-4). Juror #7 switches his vote simply because he sees that things are shifting and he just wants to leave to go to a baseball game. The other jurors have big a problem with this, but Juror#7 says be believes the boy is now innocent. Spieth birdies the 7th Hole, and is finding a rhythm. Kaufman continues continues to slow the game down. Spieth is tapping into his competitive “D”, because he continues to adapt and have a sense of urgency to perform well. However, Kaufman’s poor play forces him to adapt even more. Spieth at (-5). Juror #12 and Juror #1 change their vote, but Juror #10 begins a rant regarding the nationality of the boy. It is revealed he has certain “prejudices” which prompts the other jurors to turn their backs. Juror #10 realizes that he is alone, and no longer speaks. Spieth is in full “D” mode now, and attacks the 8th Hole. Playing well and pacing well, he is accurate and birdies to lead the field at (-6). The commentators highlight the fact that Spieth has scored the most birdies (47) in 134 holes of play at the Masters. The most by any player. A great achievement. For a pure High “D” athlete, competition and achievements are goals they strive for and are very proud of. 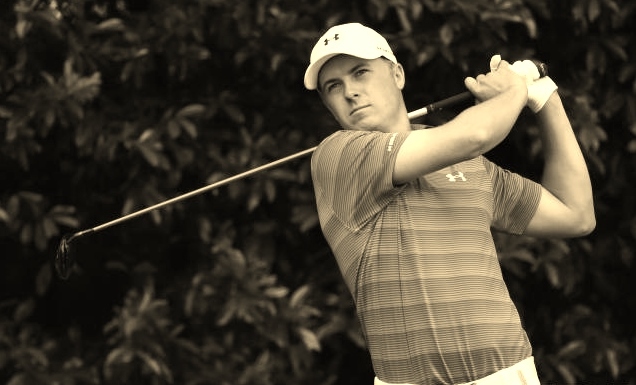 Spieth is proud, but as a High “S” athlete he eventually will need return focus to his pace of play and decision making, and focus less on his instincts. Spieth at (-6). Juror #8 discusses the 2nd witness – a woman who claimed to see the boy stab his father. Juror #12 changes back his vote. As the jurors deliberate, Juror #9 notices that Juror #4 rubs the indents on his nose when he removes his glasses. The woman wore glasses as well, although she did not wear them to court. He noticed that she also rubbed indents on top of her nose. Therefore, she was not wearing glasses while she was sleeping, and woke up to see the murder without them on. Spieth begins the 9th Hole with a great shot on to the fairway. Grellar and Spieth begin to discuss the choice of club, and the media coverage picks up their disagreement on the microphones. Grellar is concerned about the gusts of wind, but Spieth likes his own club choice and decides not to listen. He follows this up by saying, “I’m calling you off”. As a High “S” athlete, Spieth would normally listen to Grellar and take the time to weigh the options. Now in full “D” mode, he is challenged by Grellar’s opinion and wants to prove him wrong. He birdies the 9th Hole to go ahead (-7). The media and crowd acknowledge his “dominance” at this point. The remaining three jurors change their vote based on the evidence of the glasses. This leaves Juror #3 with the final vote. The jurors ask him to explain why he will not vote “not guilty.” They are willing to wait. 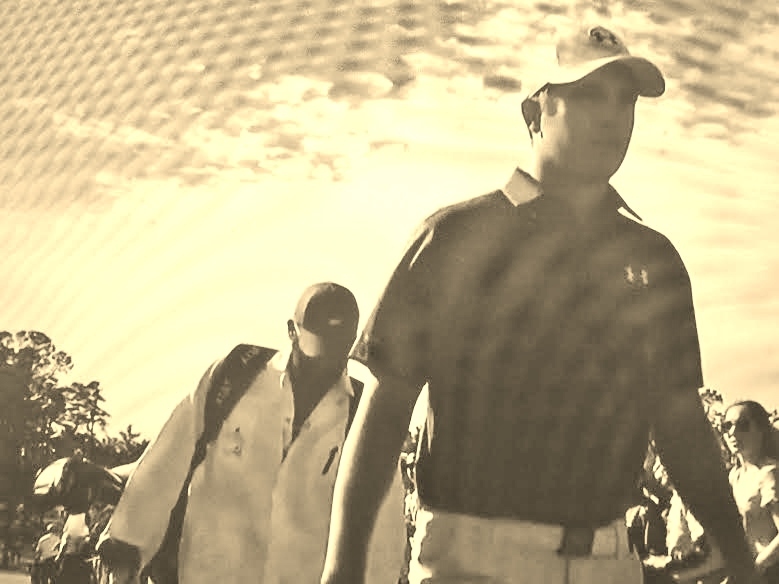 As Spieth and Greller walk to the 10th Hole, they are not speaking. You can actually see this on the television broadcast. The disagreement on the 9th Hole was brief, and this prompted Greller to stop advising Spieth. 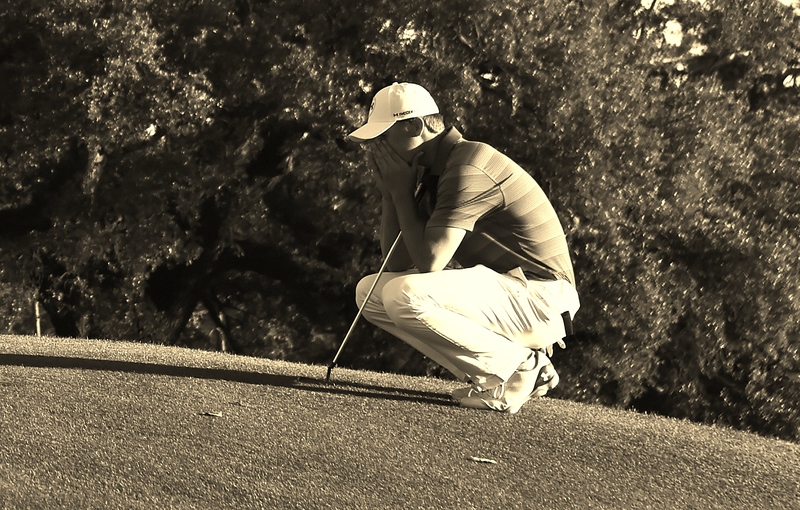 The high stakes and Spieth’s mission was clear; Greller didn’t want to get in the way. Make way for the “adapted” High “D” athlete. On the 10th Hole, Spieth hits a “safe miss”, according to the commentators. His 2nd shot ends up in the bunker, and he is rushing. The 3rd shot is short. The 4th shot is a wide miss. He taps in for bogey to hold the lead. Spieth at (-6). The 10th Hole is also where golfers can see the leaderboard. Danny Willett has been steadily closing the gap on Spieth. Spieth is very aware of this and his competitive High “D” is pushing him to finish with a win. On the 11th Hole, Spieth’s first shot is rushed and it ends up off the course. His 2nd shot is the same and his 3rd shot is solid. According to the commentators, he uses his “favorite” club on the 4th shot, but misses the putt. The bogey leaves Spieth going into the 12th hole with a 3 shot lead. Spieth at (-5). Juror #3 has been very emotional during this trial. The jurors find out he is very angry with his son. He projects his anger on the boy in the trial, and does not have any real reason to vote not guilty. After tearing up a photo of his son in his wallet, he lets go of his anger, and changes his vote to not guilty. On 12th Hole. Greller steps back in the picture to help Spieth maintain his composure with the surging Willett behind them. Spieth is back in High “S” mode and they double check his club selection. Happy to be back in Spieth’s good graces, Greller agrees with him and Spieth takes the shot. In the water…shock to everyone at the Masters and watching at home. Spieth looks ill. Both he and Greller choose to use the drop zone. He takes his time but rushes the shot and it ends up again the water. High “S” athletes will make mistakes simply because they overthink the plan. Why he played the drop zone that way to move forward will always be a debated conversation. One can be critical after the fact, but at that moment Spieth and Grellar both agreed it would be fine. After all, he was playing well! The 5th shot ended up in the bunker. The 6th shot was good, and the 7th ends up in for a score of 7. In one single hole, Spieth’s lead goes from (-5) to (-1). Danny Willett takes the lead on Spieth’s mistakes, and it appears that Spieth’s adapated High “D” finally catches up with him. A majority of time is spend on the physical aspect of sport. Athletes needs to be able to physically compete in the sport they play. They need a degree of talent and skill that allows them to do things that 99% of us cannot do to a certain degree. Mindset is developed over time as the athlete builds confidence with each success and victory. Did Jordan Spieth choke? According to the media, he did. Stop being so dramatic. Why do sports columns have to be written like a movie scripts? Why can’t the story simply be about an athlete choosing the incorrect behavior and learning from it. The simple build up to the 9th Hole – from the loud crowd noise, to Smylie Kaufman’s slow play, to Grellar’s and Spieth’s disagreement, to Danny Willet closing the gap – was enough to push Jordan Spieth over the ledge. Perhaps Grellar was aware of this, as he made it a point to honor Spieth with a public letter. An subtle apology? For what? I believe coaches and mentors forget to teach athletes how to handle defeats. They are afraid they are going to set the athlete on the wrong path – the wrong mindset. I did the same. I never allowed myself to consider defeat because I was afraid to lose my “edge”. I know now that fear is the final barrier to break through. If you accept your fear, then you realize that is all it is. Sports are not life or death. They are just “games”we use to challenge ourselves or entertain ourselves. And that is okay. Otherwise, we may use that instinctual desire to compete in a negative way – war, fighting, the Republican nomination, etc.